Live from Comic-Con: Will iTunes replace your local comics store? 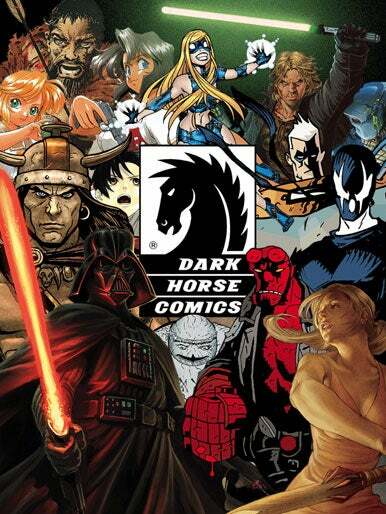 Dark Horse Comics announced Friday that it’s developing its own digital distribution system for comics, including apps for iOS devices, that will cost readers less per issue while making the company and its creators more money. Instead, Dark Horse president and publisher Mike Richardson told Macworld, Dark Horse has invested in its own technology, with a team of on-staff Web and iOS developers. Other publishers have to license technology from third-party developers and pay 30 percent of total sales to Apple for in-app purchases on the iOS. Dark Horse is avoiding those costs by building its own apps and bypassing Apple’s purchasing system. Avoiding Apple’s e-commerce system will mean some added complexity for Dark Horse customers: like Amazon’s Kindle app, the Dark Horse Bookshelf app will redirect users into the Safari web browser to make purchases direct from the Dark Horse online store. Readers can then read issues in the app or via a web browser on a desktop computer. And, in the future, on Android devices and many other platforms. Users will also be able to control how they view the comic themselves, by panning and zooming. The apps will also include “Panel Zoom” view, which is a guided view that allows users to tap and let the app guide them from panel to panel, zooming and panning in order to tell the story. At launch, Dark Horse’s store will feature more than 150 series, such as Hellboy by Mike Mignola, Fray and Serenity by Joss Whedon, Felicia Day’s The Guild, and the latest adaptation of Robert E. Howard’s Conan. That list points out that many of Dark Horse’s comics are licensed properties, and licensors have been much more skittish than publishers about embracing the digital-comics movement. “The dust really hasn’t settled yet,” Richardson said. “Some licensors get it, and some don’t understand… This is where our publishing business is going.” Richardson said it’s an ongoing process of working with licensors to show them how vital it is that digital comics be part of the comics-publishing mix. Richardson said that some of Dark Horse’s releases will be made day-and-date with the releases in retail stores, but that many won’t because the company is aware of the harm digital distribution can do to the company’s brick-and-mortar comic store partners. Like many in the industry, Richardson believes that digital comics—especially free issues—can stoke demand for physical books, which creates more paying customers for retail stores.